Results from the 2018 Australian Open Men’s Singles on Day 10 of the first Grand Slam tournament of the year on Wednesday, Jan. 24. Defending champion Roger Federer beats No. 19 Tomas Berdych to reach the semi-finals, while Hyeon Chung also advanced to the semis. Latest 2018 Australian Open Men’s Singles results on Day 8 at Melbourne Park on Monday, Jan. 22. 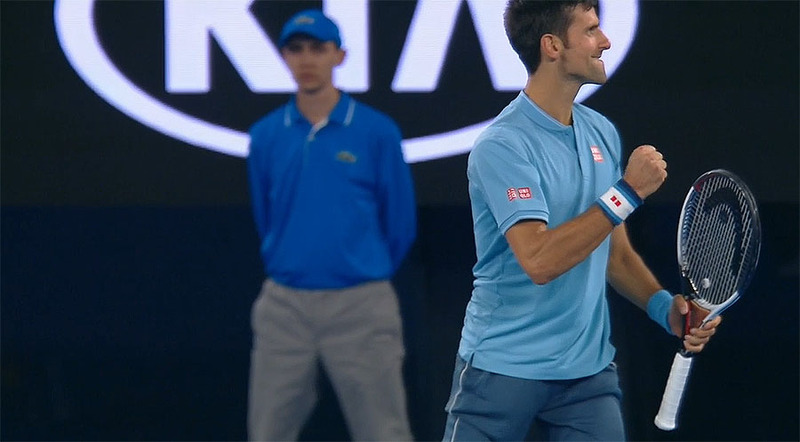 Six-times champion Novak Djokovic was stunned by South Korean Chung Hyeon in the fourth round, but defending champion Roger Federer had no problem progressing to the last eight of the 2018 Australian Open. MELBOURNE, Australia, Sporting Alert – Order of play on the main showcourts and live ESPN3 schedule stream on the fourth day of the 2018 Australian Open on Thursday. MELBOURNE, Australia — Latest results from the 2018 Australian Open Men’s Singles after Day 2 at Melbourne Park on Tuesday, Jan. 16. Novak Djokovic, Roger Federer and Stan Wawrinka were among the highlighted winners on the second day of action. Latest 2017 French Open Men’s Singles Round 1 matches on Monday, May 29. Defending champion Novak Djokovic and Rafa Nadal both opened with wins. Latest results from the 2016 US Open quarterfinal matches played on Tuesday, Sep 6, as No. 1 Novak Djokovic and Caroline Wozniacki advanced. The latest scores, results and updates from round 3 action at the 2016 US Open tournament in New York on Friday. No. 1 Djokovic got another gift. US Open scores and results from Day 3. Number one seed and defending champion Novak Djokovic of Serbia was among the stars moving into round 3.